Summon Night 6 has been long delayed, and the end product just hasn’t lived up to how excited we all let ourselves get about it. It’s decent enough as a traditional tactics JRPG in the vein of Final Fantasy Tactics or Ogre Battle, but an incredibly inane plot that the writers seemed to think was worth stretching out over more words than in your typical visual novel means that it’s incredibly hard to appreciate the actual merits of the game. Related reading: As a visual novel/ tactics RPG blend, Summon Night's closest rival on PS4 is Utawarerumono. Matt's review of that game. 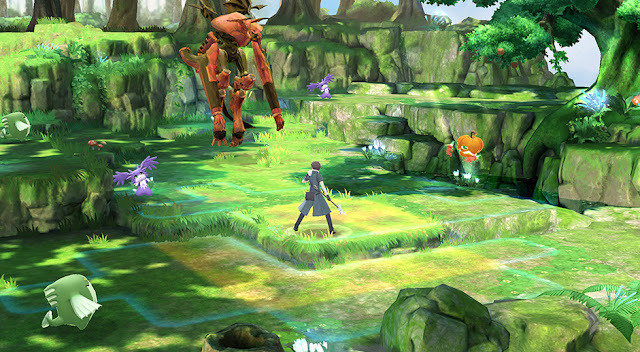 Summon Night 6 assumes that you’re intimately familiar with all the previous games. Which is a problem, given that almost none of them were ever localised into English. As far as I can tell, the game’s writers have pulled a similar trick to what Koei Tecmo has done with Hyrule Warriors, Fire Emblem Warriors and Warriors All-Stars; they have pulled all the characters together from previous games, and then used a flimsy plot hook (they’ve all been dumped in this weird alternative world!) as a way to explain their presence together. This one even goes as far as to invent alternative dimensions so that characters can know each other, or not know each other, in this game, where they didn’t know each other (or did) in their original game. I think. If your head is hurting from that previous sentence chances are that you, like me, haven’t played previous Summon Night games, and so have no idea why any of what's going on even matters in the first place. Koei Tecmo was able to pull this kind of plot hook off because, firstly, Warriors games don’t offer overly dense narratives, secondly, they recognise the plot hook is arbitrary and necessarily nonsense and so state it, get over it, and then throw players into the action with a minimum of fuss, and finally, people who might be inclined to buy those games are already familiar with the franchises that the characters are drawn from. Summon Night 6 is the polar opposite; it’s more narrative orientated than ‘gameplay,’ it spends far, far too long ruminating over the plot hook and trying to convince players to come along for the ride, and while it’s the sixth game in the series, it’s not even close to a ubiquitous franchise that Zelda, Fire Emblem and half of Koei Tecmo’s franchises are. The developers should have assumed that there would be people - like me - who would be interested in playing the game because it’s a tactics RPG, even if they hadn’t had the chance to play the first five. That’s a very different thing to making the fair assumption that only a Zelda fan would be interested in a Zelda Warriors game. Even putting aside the headache I have trying to wrap my head around the narrative context of Summon Night 6, I could have got along with the game if it was written well. There are other games that I’ve jumped into quite late in the franchise and found myself loving them even when they directly followed on from previous titles. My first Yakuza game was Yakuza 4, for example, and I loved that one to bits despite missing a lot of the background, because what was in the game was so well written I was on board anyway. Summon Night 6 doesn’t do this. 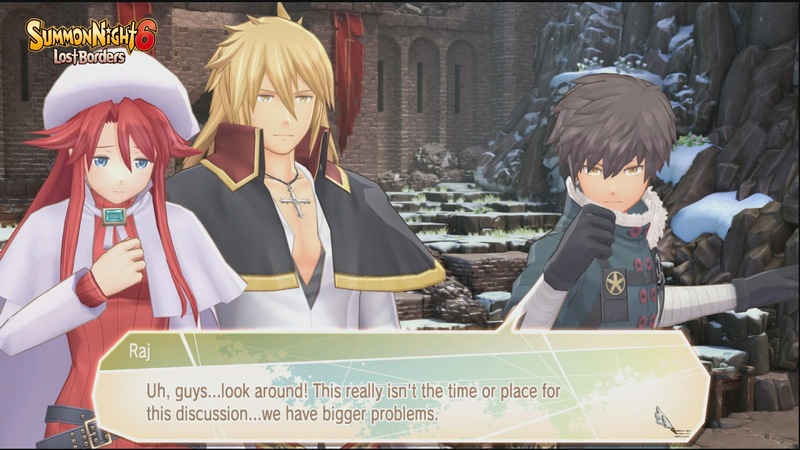 Summon Night 6 reads more like a fanfiction, with laboriously long conversations that don’t drive at any greater point, and seem to be there for the sole purpose of having two characters in conversation. And yet at the same time, despite the length of these conversations, I don’t feel like I got to know any of the characters, which ran a gamut of stereotypes, any better. In fact, I really struggle to remember the names of any of them. I think the main character's name was Raj? I've spent a lot of time talking about the characters in this review because it's important; they get in the way of everything else that the game might be trying to achieve. There may well be a deep and meaningful philosophical discussion going on in the game, but I couldn't find it, because I was too busy wading through endless conversations which seem to exist solely because one character can say something silly to another. I don't care that Raj is so naive, having spent his entire life by himself, that he doesn't know what a "pirate" really is. We don't need ten conversations with the pirate character dodging the question about what he does. Similarly, the main plot arc can work, and it could have been something epic in its own right, but again, we spend most of the game getting bogged down in these inane conversations with characters I just don't care about enough, because I never got to experience them in their actual game where, I can only hope, they were developed to far greater depth. Character overload is another real problem in this game; there are so many characters to “collect” and add to your growing roster that it becomes unwieldy fast, and the writers clearly struggled so much in giving characters equal screen time that we end up getting nothing more than snippets for any of them. 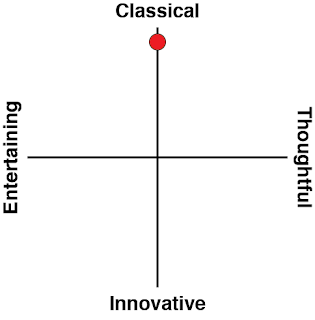 For a game with character development as a key narrative priority, getting so little depth out of each individual character, despite the sheer number of conversations, doesn't help the game feel deep or meaningful. Contrast this with some of the other tactics JRPGs that have been released this year, and it’s a tough sell for this poor game. There's God Wars with its majestic use of Japanese folklore and art to weave a classical story, Disgaea 5 on the Nintendo Switch and its out there over-the-top moments, Utawarerumono, which is, like Summon Night, half visual novel and shows that incredibly in-depth characterisation is possible, and throws native Japanese aesthetics and spirituality for added depth, and Dynasty Warriors Godseekers and its clever re-appropriation of the Romance of the Three Kingdoms narrative. 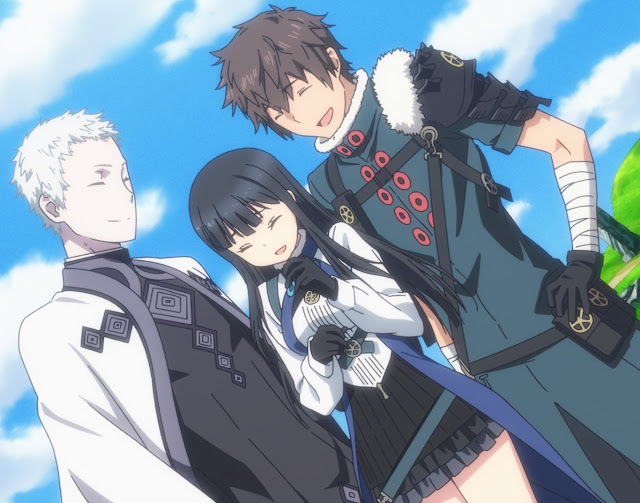 Summon Night 6 unfortunately defines itself by languishing behind these, lacking the distinctive characters, meaningful narrative arcs or rich context. Especially for those of us who haven’t played the previous games. Summon Night 6 with a better narrative context could have been a lot of fun, too, and that's the tragedy of it. It looks bright and colourful, in that generic anime fantasy way, though again characters and environments lack anything genuinely distinctive that would help have them stand out. I get the feeling I’d love some of the characters more if I knew more about them, but for the most part these look and fight like they should be nameless NPCs or bit characters in other RPGs. 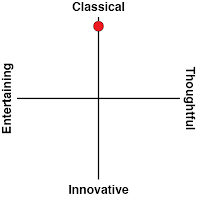 In addition, it plays very well indeed. All the standard tactics plays are in the game; you’ll enjoy advantages if you attack from higher ground, or can fight from a distance. In melee, attacking from behind is a good idea, and characters can counter-attack, so you need to carefully watch your character’s health before wading into battle with a boss. Environments have treasure chests in difficult places, but you’ll need to make your way over to them for the best loot in the game. You’ll also have specific challenges given to you at the start of each battle, and completing the battle while meeting these challenges provides additional rewards. It’s a good, classical way of getting people to approach battles - even when they’re clearly the powerful ones - with some tactical thought. As per the name, being able to “summon” creatures to help you out is a major part of Summon Night 6.Through the early stages of the game you’ll get away with relying on your character’s melee abilities, but it won’t take long before success or failure depends on effectively using the summon monsters at the right moment. Of those summons there’s a nice big range of them, and their attacks are the game’s visual highlight. Or at least, that’s the case on the highest difficulty level, which would be roughly equivalent to normal mode on most other JRPGs. On lower difficulties the incentive to really engage with the summons system and tactically plan your way through battles can be easily replaced by using the standard combat command over and over again. 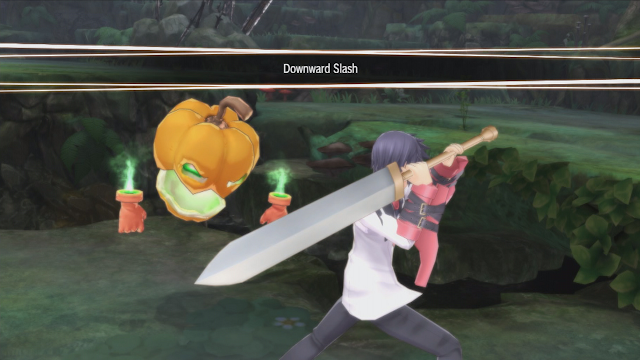 Summon Night 6 isn’t an overly difficult game, and combined with the lack of cohesive storytelling, it’s a little hard to see just where people will derive value from the game. All the pieces come together well enough - Summon Night 6 shows that the developers know how to make a tactics JRPG work - but it’s difficult to get hooked into something that struggles to either offer mental challenge, compelling narrative, or anything else to help it stand out as something distinctive. Related reading: Jim's review of Summon Night 5 on the PSP - one of the few other Summon Night games that was localised into English. I’m sure if I had have played the previous Summon Night games I would have enjoyed Summon Night 6 more. The foundations are all there as a tactics JRPG, with solid production values and sound gameplay mechanics. What lets it down - and badly - is the assumption that people are familiar with all the other Summon Night games… most of which were never actually released in English. That assumption, coupled with the overly stereotypical plot and overload of characters - none of which are every developed beyond their most basic - makes for a game that, unfortunately, is far too shallow to stand up to the crop of other tactics JRPGs released this year, in what has been a really good year for the genre.